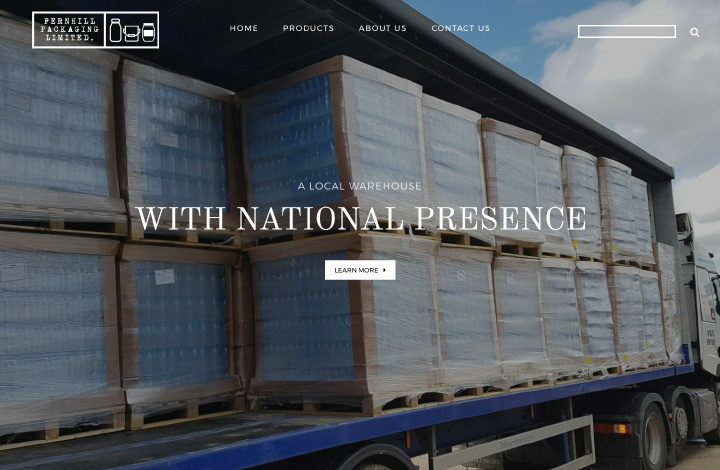 We produced a new website for plastic juice bottle wholesaler Fernhill Packaging, with the brief being to create a site that’s simple to use, looks great, and generates sales enquiries. Fernhill Packaging is based in Worcester, at Broomhall Business Centre, so is ideally placed when it comes to transport links across the country. The company specialises in the wholesale of plastic bottles, caps, buckets, tubs and other containers. As well as stocking their normal range of plastic bottles and other products, they also design and manufacture bespoke products. The website was designed using Adobe XD, and then converted into HTML and PHP as a bespoke theme for WordPress. By using a bespoke theme, rather than an off-the-shelf third-party theme, we are able to maximise the search engine optimisation (SEO) of the website, and can individually optimise every element of the website if necessary. A bespoke theme also enables the website to be more responsive, with reduced page-load times due to the use of streamlined code that is written specifically for the website in question. In terms of the site’s front-end (i.e. the bit the customer sees), we made the layout as simple as possible – a nice clear homepage with lots of room for text (great for SEO! ), and easy links to each category of the product range. While not an ecommerce website, the layout of the website shows a lot of typical ecommerce-design features, as ultimately the idea being the website is to generate as many sales as possible, albeit offline. In addition to the main menu, there are also ‘quick links’ in the footer that link through to each of the main product categories. For more information about Fernhill Packaging, please visit the website or contact the sales team directly via sales@fernhillpackaging.co.uk.